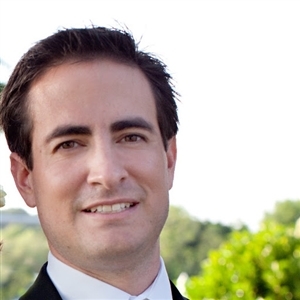 LAKELAND – The Florida Conference has a new treasurer, Tony Prestipino, who will be trading his treasurer’s desk in the Palmetto State for an office a little bit south in the Sunshine State. Prestipino, treasurer at the South Carolina Conference for nearly five years, was a search committee’s top choice among candidates for the job being vacated by the upcoming retirement of Mickey Wilson. Prestipino expects to step into his new role by late spring of 2015. Tony Prestipino, treasurer of the South Carolina Conference, is expected to move to the Florida Conference by June 2015. Wilson, who plans to retire June 30, said he couldn’t be more thrilled with the selection. He likened his feelings about turning over the financial future of the Florida Conference to someone else to those of a parent leaving a newborn child in another’s hands for the first time. “I am, if you will, handing over my child to someone I have the greatest confidence and trust in,” Wilson said. Florida Bishop Ken Carter, who served on the conference Council on Finance and Administration’s search committee, said it was important to find the right person to follow Wilson, who has been conference treasurer since 2006. “The leadership of Mickey Wilson over these past years has been transformational in the life of the Florida Conference,” Carter said. “With his impending retirement, we were aware that this would be a critically important decision. Tony Prestipino brings significant experience as the treasurer of the South Carolina Conference, a deep awareness of the importance of this role in our connectional ministries and a sincere enthusiasm for the church’s mission. “We are grateful that someone with Tony’s competence and character will be joining our leadership team." Prestipino said by phone that he was looking forward to taking the financial helm of the Florida Conference, a position he expects to offer new challenges and opportunities to grow in his career. The opportunity to supervise a larger staff – in South Carolina, six people report to him, while the Florida Conference treasurer oversees about 20 – was among the appealing aspects of the new job. Prestipino said he hopes that will allow him to shift his attention more toward strategic planning and devote less time to hands-on accounting matters. He said he already knows some of the Florida Conference Financial Services staff members through United Methodist trainings and gatherings and looks forward to working with them. Prestipino listed strong technical skills and a reputation for working well with local church and conference cabinet leaders among the assets he will bring to Florida. Although Prestipino is not expected to officially take the treasurer’s chair until late spring, he and Wilson will be working on 2016 budget planning and committee appointments in preparation for the 2015 Annual Conference in Daytona Beach, Wilson said. “He has my full endorsement and full cooperation in this transition,” Wilson added. In addition to his time with the South Carolina Conference, Prestipino worked as a senior auditor for Deloitte from 2005 to 2010. Before that, he was an internal auditor for the Naval Audit Service in Washington, D.C. He holds a bachelor’s degree in accounting from Wofford College in Spartanburg, S.C., and a master’s degree in accounting from The College of William and Mary in Williamsburg, Va.
Prestipino said he and his wife, Libby, plan to relocate next year to Lakeland with their infant son, Charlie.